The door is wide and open, don’t go back to sleep. May I have permission to re-log this please? Surely our everything in this universe is yours, please reblog is as much as you can. Help us spread kindness. I’d be happy to. Huge similes, hugs and blessings. This made me smile, consequently, I share. This was lovely! 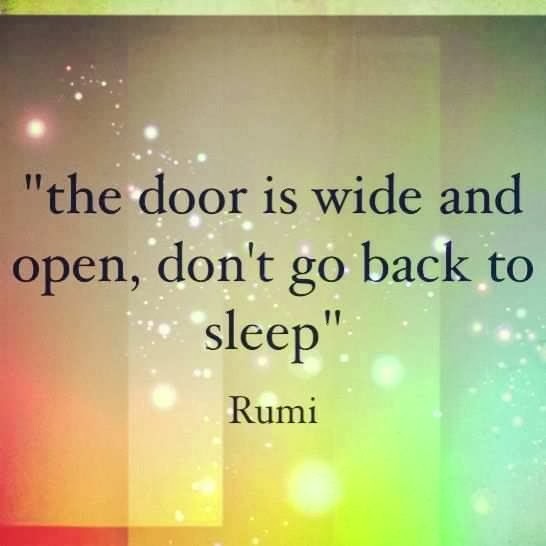 Rumi is one of my favorite poets and inspirations! Previous Previous post: When ego is lost, limit is lost. You become infinite, kind, beautiful. Next Next post: “Ha Ha Ha”: Laughter is the Best Medicine: Poultry Breeder & Eggs.